Today’s date; Sept 11th – a day that everyone who was living anywhere in the world knows and remembers where they were – it is ‘9/11‘ and the attack on several NYC buildings, in Washington, DC, and airplanes. It made and continues to make a major impact on those directly or indirectly affected by those attacks. This is so true for any of your ancestors, no matter when they lived or where. True, news of events could have taken weeks or months to reach some people at certain time periods, but they did know. Here are some examples of historical events that you do need to tie-in to your ancestors. These just may have changed their lives completely. 1. Any wars on native soils – such as American Revolution (1770s-1780s) and the American Civil War (1861-1865). But it also includes wars in European nations that your ancestors lived in. People affected were not just soldiers but the people on the homefront also. 2. Availability of 160 acres of land. The United States Federal government established the Homestead Act of 1862, which provided around 160 acres of land to person(s) who could stay and improve the property for a minimum of five years. After which they owned the land. 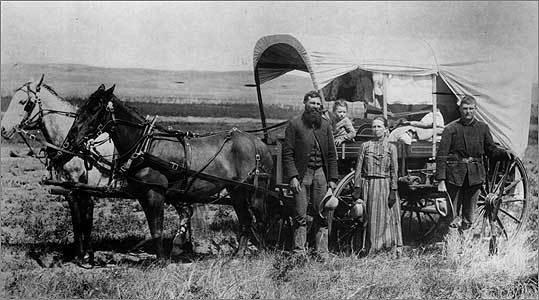 Now many people wanting a new start and their own land took advantage of this opportunity during the late 1800s, moving further westward. Yet this homesteading did also apply to wilderness lands in Florida – especially in the 1880s-early 1900s. If you thought you ancestors only moved out west, check again, many went to Florida. 3. The worldwide outbreak of the Influenza in 1918, aka as Spanish Flu. It struck mostly young healthy people, those under the age of 30. This pandemic swept through more than 500 million people, nearly a third of the world’s population at the time, and killed between 20-50 million. Even comparing to another dark period, more people died of influenza in a single year of 1918 than in four-years of the Black Death Bubonic Plague from 1347 to 1351 in Europe. 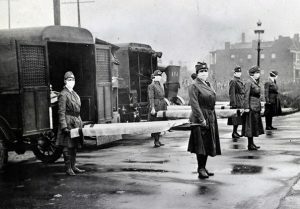 The Spanish Flu spread in 3 waves, first in the Spring of 1918, then the Autumn of 1918 and into early 1919. 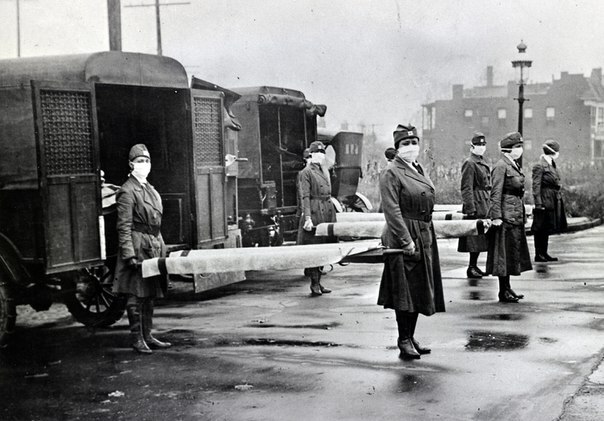 It was estimated that 675,000 Americans died during the pandemic. So if you had an ancestor (male or female), born approximately between 1888 and 1900 and you can not find what happened to them in the late 1918-1919 time, even to find an obituary, this could explain it. With so many dying very quickly, there was no way to get so many obituaries in the newspapers and barely able to have the bodies buried. Everyone worn facial masks and people did not go out in public if avoidable. Notices were placed on a person’s home if someone was sick inside. 4. Immigrants leaving their homeland to resettle in America. Now that is a long ongoing event, including back to the Pilgrims of 1621. Yet there were times when the numbers were enormous the number of immigrants daily arriving at different ports (Philadelphia, NY, New Orleans, San Francisco, etc) for a fresh start in America. Before 1820 there were about 8,000 new immigrants a year. From 1836 to 1914, over 30 million Europeans migrated to the United States — this would have been when most of your ancestors arrived. The peak year of European immigration was in 1907, when 1,285,349 persons entered the USA. Remember that took a good deal of courage to leave permanently one’s homeland for a new life in a strange land. So make sure you get the full picture of historical events and how they directly impacted your ancestors. 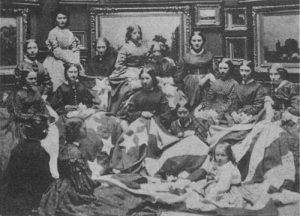 Photos: The home front during Civil War-women; Homesteading family moving west; St. Louis Red Cross Motor Corps on duty during the influenza pandemic in 1918; and immigrants arriving.